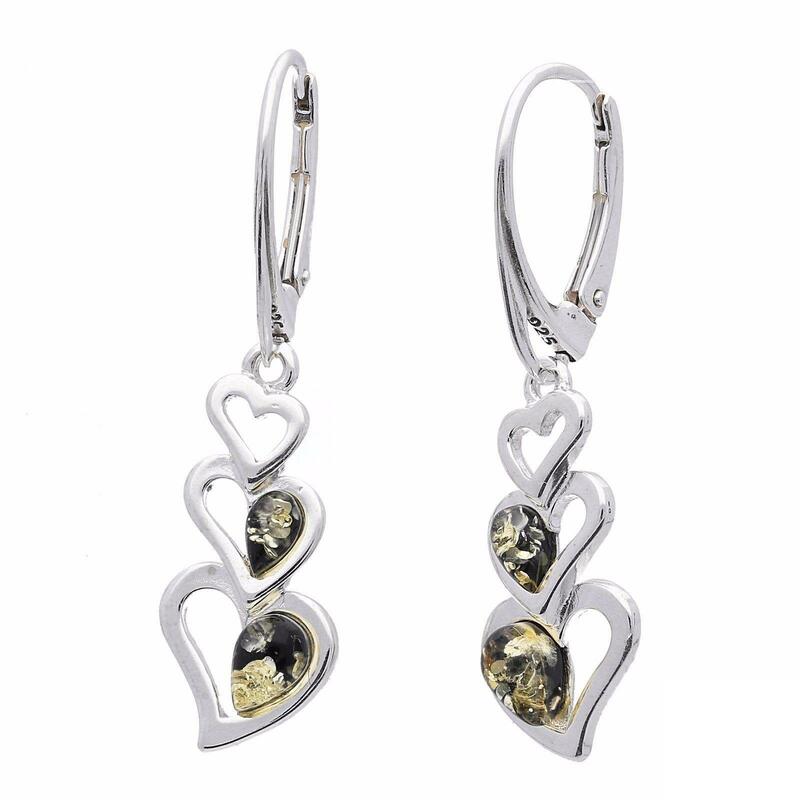 Pretty Sterling silver triple heart drop earrings, featuring a German clasp and half filled green amber hearts. These earrings can be paired with our triple heart pendant for a classic set - the perfect gift for a loved one! 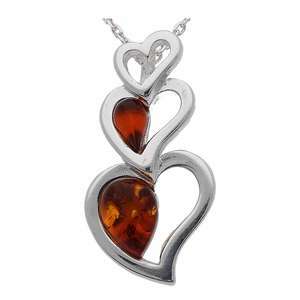 Green amber is very unique, and normal comes from Baltic regions. Our green amber pieces are in fact sourced and handmade in Poland.